Every country has its own characteristics. Whether it’s the culture, history, cuisine or geographical beauties; there is some things special to look forward to, when you visit a country somewhere in the world. 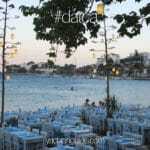 Turkey is one such place ultimately idyllic for tourism. It is certainly a holiday destination worth considering. Surrounded by so much water, it’s no wonder the luxury yacht charter Turkey vacations are a growing popularity in holiday styles. This is particularly so with Turkish wooden boats called gullets. These fine handcrafted boats have been around for a few decades and evolved in technology and designs. Therefore when travelers seek to experience a blue cruise holiday, the one and only type of boat offered will be a Turkish gulet. They usually start from 1998 builds right up to the latest, launched in 2012. There are expectations that while there will be no news builds launched in 2013, there will certainly be gulets, brand new ones, surfacing in the waters in 2014. 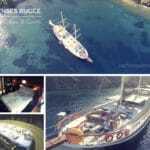 Chartering a gulet is really a matter of budget, size and taste. While there are the older ones with a more traditional appearance and completely wooden on the exterior, there are the more modern with some additional technological features and materials. 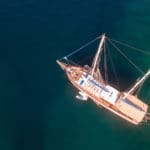 On the other hand, there are gulet charters that are a mixture of both – offering not only the classic gulet appearance but also come with all the best and latest in facilities for the traveler’s convenience. Not everyone is after internet or prefers air conditioning all the time. There are guests who are simply after the sunning and water activities only – with destinations of course, in between. 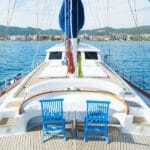 The Serenity 86 gulet is a magnificent 24 meter boat providing 4 well designed cabins for up to 8 special guests. Guests can enjoy alfresco dining in the aft while additional deck area in the forward for sunning and lounging about. It is especially relaxing, while you are cruising as the warm breeze passes you by with the scent of fresh sea air. Being on a gulet such as the Serenity 86 truly offers that traditional feeling of being in the Mediterranean waters of Turkey. Breakfasts, lunches and dinners simply taste better when you are out at sea on a gulet. The Serenity 86 is one of the higher end gulets – therefore facilities and services are top notch! So if you are pondering the thought of a gulet cruises, then the best place to start looking is in historical waters of Southern Turkey. The best selections, old and classic or new and yet traditional / modern; they’re all here for you to choose from. Destinations? More than you can imagine.